Conference side Nuneaton Town have signed three players with the arrivals of Tyrell Waite, Jordan Cranston and Exodus Geohaghon. 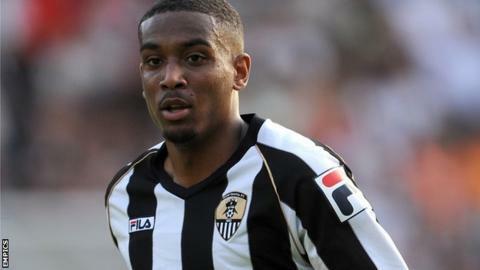 Striker Waite, 20, rejoins the club on a one-month loan from Notts County while defenders Cranston, 21, and 29-year-old Geohaghon have agreed permanent deals. Cranston had a three-month loan spell at Nuneaton from Wolves last season. Geohaghon has been a free agent since leaving Solihull Moors in January. "I am hoping Tyrell will come in and do well for us," Nuneaton boss Brian Reid said. "He has been on the fringes of the first team at Notts County and will give extra competition to our three forwards already at the club. "I was able to look at Jordan for the last few games before the season ended and he will give us new options on the left. He can play left-back, left-wing-back or left midfield and that was an area we needed to strengthen." Of 6ft 5ins Geohaghon, Reid said: "He brings a great deal of experience, is a great size, a leader and a good talker on the park. He also gives us an extra weapon with his long throw, which can be even better than a corner." Nuneaton have taken only one point from three games so far this season and go in search of their first win at home to Barnet on Saturday.